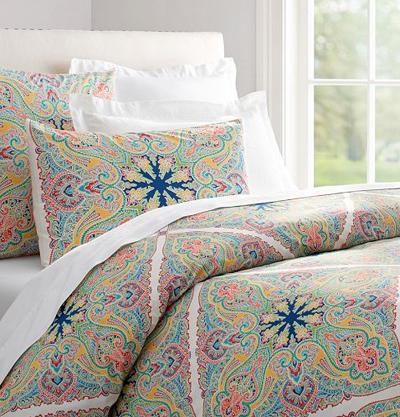 This Penelope Organic Duvet Cover features a cheerful rendition of paisleys that is as sophisticated as it is charming. Its chic paisley medallions are drawn after a vintage cocktail dress, here re-created with vivid color and detail. $29.50-$129. Free shipping. Buy here.